The car buying and loan process can be difficult when you have low credit scores, but the proper assistance can make it easier. 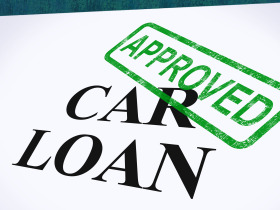 There are a number of lenders that offer special car loan financing for people, but none do it like AutoNet Financial. Thanks to 22 years of experience in car loan services, we have grown familiar with people who need bad credit financing and have a horrible credit score. This combined with our extensive network of auto lenders throughout North America make it exceptionally easy for us to assist an applicant with any credit. Can I Take Over Car Payments with a Bad Credit Score? Many people try to take on the payments of a car with a bad credit score, and there are a number useful ways to accomplish this. Having a limited credit score and dealing with collection agencies does not have to keep you from finacing a car, and we have the tools to help you get it done. By taking the time to refinance an auto loan after a banktuptcy claim, you can have a better chance to lower your rates and save money on a loan. There are a number of alternative auto financing opportunities that people with lower credit scores can explore when buying a new or used vehicle. Can I Get Pre Approved on Car Loans with Bad Credit? If you have poor credit and need help with getting pre-approved for auto loans we can help you find what you need to guarantee approval. 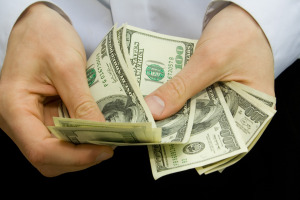 A number of websites like AutoNetFinancial.com can provide an easy loan service to people with credit problems. These poor credit lenders offer great stipulations to go along with a fast and simple online application that takes minutes to complete. Shopping at a local dealership may be more time consuming, but it can offer car buyers a great chance to find a vehicle and finance it in the same day. Many fair credit auto dealers offer special finance incentives that can people qualify for financing with any score. 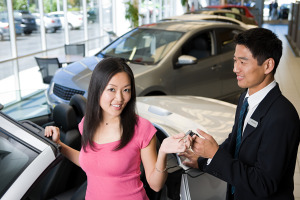 A buy and pay here car lot, also known as a tote the note dealership, can prove to be a quality lending opportunity for people with no credit or who are struggling with very low credit scores. These lenders place little importance on credit checks, and will base your approval on your income and down payment in most cases. So you clearly don't need to have a perfect score to have a chance to get approved for financing. All you need to do is use one of the proper lending services and you can quickly qualify with ease. Saving money on payments is often a concern for consumers who apply for poor credit financing, as interest rates tend to be higher than that of those with good credit. However, you can receive better payment rates from lenders by shopping for used cars with bad credit, instead of pursuing new auto financing options. Pre-owned vehicles are easily priced lower than a new auto, which cuts into how much you need to borrow from a lender. Most people save even more money by making a quality down payment, supplying a trade-in vehicle or by using a cosigner. You also receive more lending options when you shop for used autos, and have an easier time rebuilding your credit status with timely payments. 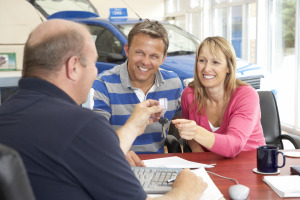 With a trade-in a dealer will perform a through evaluation of the vehicle to determine its value and attribute that price to your down payment. A cosigner however, is used when you have a close acquaintance with very good credit sign onto your loan to improve your rates and reduce your upfront payment. This person will also be held responsible for paying your monthly charges and have their credit affected in the even that you miss any scheduled payment date. By looking into our finance and poor credit tips an applicant can become more familiar with the areas of the financing world. We also touch common things such as no down payment loans with low credit, poor credit car loan financing, credit monitoring and repair advice, and various lending options that should be avoided. No matter what advice or information you need to help you buy a car with a 500 credit score it can be found here. Borrowers can also look into the AutoNet News section for additional advice on vehicle loans and poor credit situations. There you can find information on tote the note dealers, how repossession affects credit scores, and plenty of additional information on the ins and outs of financing.